Into The Dark Terror Vault is a Haunted Attraction located in San Francisco, CA. Team In-Corpse-A-Rated reviewed this Haunted Attraction on October 8, 2018. A brand-new haunt has opened in San Francisco and resides in the Old Mint. The Granite Lady, as locals have affectionately called it, survived the 1906 San Francisco earthquake. The Old Mint made U.S. currency until 1937, then the Department of Treasury moved into another building. 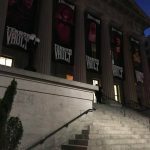 The Old Mint has been declared a historical monument, open to special events, hence how the Into the Dark Production Company arrived. Into the Dark is a collaborative effort between actor, filmmaker and popular drag performer, Peaches Christ, theatrical company David Flower Productions and management firm Non-Plus Ultra. They offer two attractions, Terror Vault and Dead Zone: Zombie Tag. 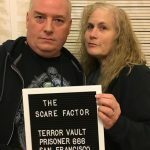 For the purposes of this review, we are only able to write about the Terror Vault, because Dead Zone was not open during our visit on media night.  The Terror Vault is a combination of part haunted attraction, part escape room, and part theater. An interesting note is that the Terror Vault is only open to guest 21 years and older. Attendees are allowed to purchase drinks at a bar while they wait their turn. Guests are assembled in groups of 10 to 12 people every 30 minutes to enter. Each individual participant must decide whether to “opt-in” by wearing a glow stick necklace, which lets the actors know you are willing to be touched or pulled from the group or “opt-out”, by declining the necklace and passively watching. Guests have the option of removing the necklace during the show if they get too scared. Everyone in our review team opted in. Overall, we had a good time, as this event is part scary and part humorous. A great job for a first-year haunt. The Terror Vault had enough actors to keep the scares and entertainment consistent. They were believable, enthusiastic and as engaged as to what the scene called from them. We never saw anyone break character. This cast was probably the most interactive ensemble we’ve ever witnessed. As we entered each scene, the resident actor would take charge and instruct our group as to what they wanted us to do, be it stand in line, sit and listen or go on a scavenger hunt. There was extensive dialogue, which was important to advancing the storyline, but each actor would improve as necessary when reacting to our group. There as a wide variety of characters, some being very verbal and others being silent, but startling us. We were very impressed with the costumes. Notable favorites were the human-bat-animal hybrid, the Satanic High Priestess and the life-sized Victorian doll. The actors all had completed wardrobes from head to feet. The makeup was applied skillfully to create an ‘undead persona’ for several actors. The Satanic High Priestess had grey makeup, yet it was still applied with a sense of glamor. The evil nun, the killer clown, and the warden all had combinations of dead paint with prosthetics to give their skins a rough texture. The masks used were a bit of a hit and miss. The human-bat-animal hybrid and the Victorian doll looked very impressive, but the devil with the black goat head and the human rat hybrid just looked okay. The costumes were very appropriate for their respective scenes and themes and nobody looked out of place. Locating the Old Mint is easy, but finding parking is not. As in every venue in San Francisco, street parking is hard to find, so the best option is to use a paid parking garage and there happens to be two of them across the street. Sadly, we didn’t see any handicap access, but after talking to the management, we learned that they will cater to a person with disabilities if they make prearrangements, and there is a street-level door in the back of the building. Entering the building requires climbing the outside stairs and traversing through the haunt which required walking downstairs to the basement and climbing back up a second set of steps at the end. We found the Terror Vault to be very safe and couldn’t find any tripping hazards. There were enough staff and security on the premises and they were helpful and respectful. Into the Dark has a website and a presence of various social media, so their information was easy to find. 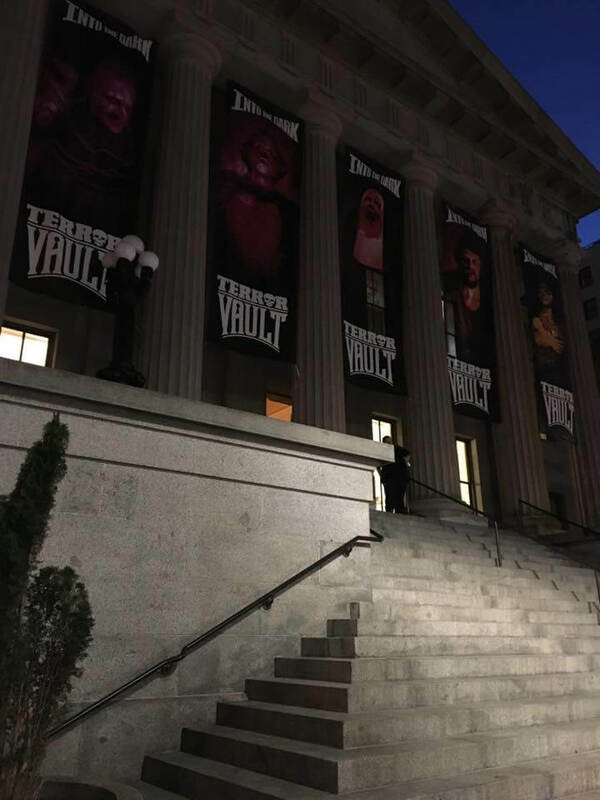 There are large vertical banners hanging in front of the Old Mint that lets pedestrians and drivers know that Into the Dark’s Terror Vault is inside. The banners hang between each structural column of the building. Other than that, there were no outside actors or any entertainment to promote the haunt. Inside the building, there was a cocktail bar with specialty drinks, with early 20th century music in the background and an old horror movie projected on the wall. 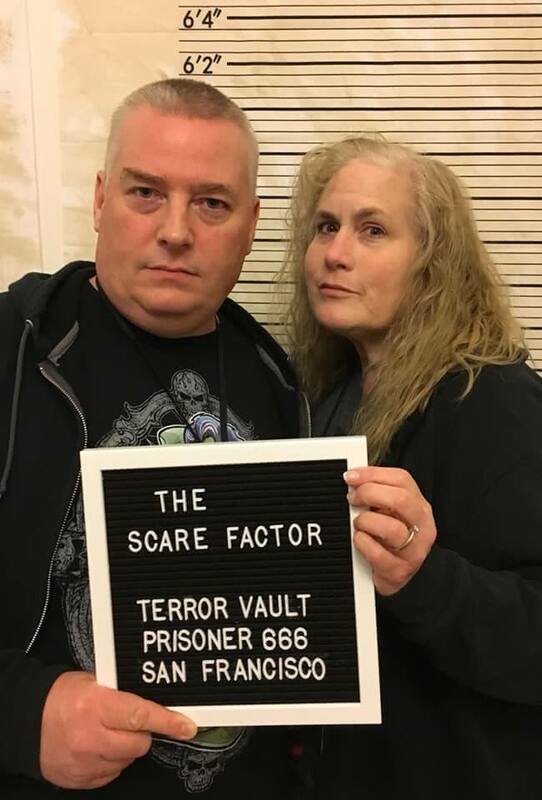 The one thing that kept us excited to enter the Terror Vault was hearing the screams of other attendees in the basement below, whom were experiencing the show. The waiting was a mellow affair, when compared to entering the haunt. Terror Vault had a few notable special effects. The video projected image of the Victorian house over the house façade was nice in the way it changed colors. The elevator platform that brought the Satanic High Priestess down from the higher position to floor level was a good use of a character introduction. There was also a claustrophobia tunnel, which is a haunt standard in this area. Sound effects were used subtly, but the most memorable moment is when the prison warden gives us an assignment to find rats and we hear their squeaking sounds behind us. There were some really nice scenes and props. The Mad Scientist’s room and the Victorian home had a nice abundance of furniture and props, but the Satanic church really stood out. From the pentagrams and the upside-down crosses to the baptismal fountain, and the confessional booths, we haven’t seen a haunt take that artistic direction before. The clown room was a little bland, but the rat scavenger hunt did use the existing vault room brick walls to convey the storyline successfully. The only props that were obviously fake were the rubber rats we had to find in the scavenger hunt, but for the most part, the scenery maintained the suspension of disbelief. We felt the special effects worked in providing a scary and entertaining experience. Terror Vault had a clear theme that was established in the beginning of the show. We started with a tour guide who tells the story of the Old Mint’s secret history of being a prison after the 1906 earthquake, then gives us a power point presentation, explaining who were the most infamous prisoners to reside there and the sadistic warden, whom all are believed to be haunting the basement floor. The guide leads us downstairs to the basement level, then panics and runs. We are left to see each of the infamous characters in their specific environments. The theme was executed throughout the haunt with excellence. We could tell that there was a lot of thought invested in creating a story and seeing it play out. The producers did invent the story of the Old Mint serving as a prison, the fact that they used the building in the story does make the location authenticate this theme very well. Terror Vault was scary, but was also intentionally campy. They did provide scares to everyone in the group and they weren’t predictable. The majority of scares came from startles, but there were a few actors also giving intimidating stares. The finale was unique, but not a great crescendo. *Spoiler* We all had to find a rat to give to the human rat hybrid to leave the basement and return upstairs. We were satisfied with the entertainment and the length of the haunt (42 minutes). However, there was little entertainment outside of the attraction. Our review team struggled with the general admission price, but agreed on the fact, that the length of the entertainment was well received. When compared to all of the haunts we’ve visited, we couldn’t justify the $60.00 fee. We felt that $40 to $45 would be a more appropriate price, because we expected more for the current cost. Terror Vault did use all available space and we didn’t see any dead zones.